Don't be afraid of this big lizard! He only wants to add a little charm and colour to your decor! 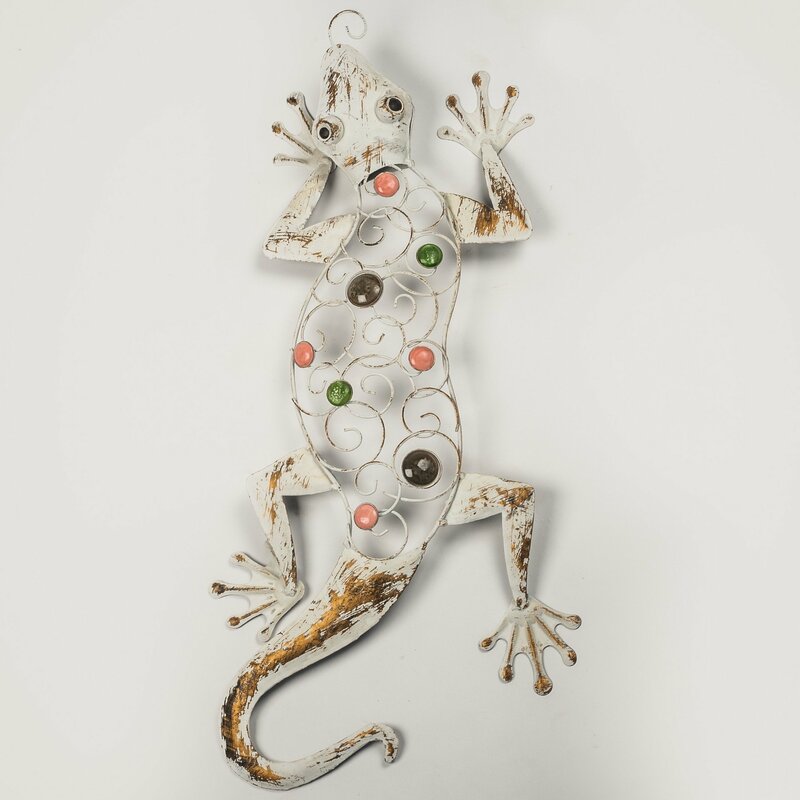 Distressed for a shabby chic look, the white powder coated metal lizard features colourful stones in green, pink and black mixed in with its scroll work body and has a cute curly tongue, webbed toes and a long tail. The Large White Gecko has a rustic, weathered look and gems in pink, green and brown scattered over the body.